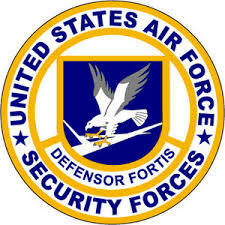 Scott Air Force Base spreads across over 3,500 acres in the western part of southern Illinois and employed about 5,500 active duty personnel, another 2,300 Air National Guard and Reserve members and close to 5,000 civilian employees. Adding over 1.5 billion dollars to the area’s economy, it’s considered one of the largest employers in the state. Several times the base has narrowly missed the base closing and realignment list. Named after the first enlisted man who died in an air accident back in 1912, Corporal Frank S. Scott, the base has since grown to include many groups under the 375th Air Mobility Wing, and under each group, several squadrons. 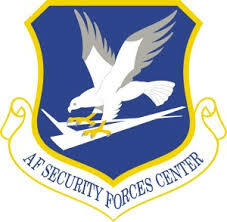 Kate, John, Spencer, Andrew and other friends worked for the Security Forces Squadron, or SFS for short. Kate sometimes thought it was all rather complicated and was glad she didn’t have to keep it all straight. She was having a hard enough time keeping her life straight. John and Ruth were now both gone, and she was fretful of one and relieved of the other. Each day that passed, seemed to make Kate feel worse. She said a quick prayer each night and morning for John, not sure that anybody heard them, she not being particularly religious. On Monday morning, Kate had an email in her inbox requesting she see her boss, Sergeant Thompson. She didn’t know what it might be about. She better get it over with if he had bad news. She knocked on his door frame and waited for him to acknowledge her. He chatted on the phone, but he waved her in, gesturing to the chair in front of his desk. She ignored his conversation as best she could, making it difficult from her perch. The sunlight coming through the windows in the office dimmed as clouds gathered across the sun’s path. She wondered if a storm was brewing in St. Louis. So much of their weather came through the big city first before it headed east toward the base. She hadn’t been stationed here yet when a few years ago a tornado touched down in Fairview Heights, a neighboring town, demolishing a small strip mall. She didn’t remember how many were injured or killed. Kate tried to keep her legs still, but they jerked up and down. She clasped and unclasped her hands as she glanced around the office. Framed awards and photos adorned the walls and the office was decorated in typical military fashion, which was practical but not very warm. Pale walls, blue plastic molding, industrial carpet in dark blue tones. Inexpensive dark-wood furniture made to look rich. Sergeant Thompson finally hung up the phone and folded his hands on his desk. “Thanks for coming right away. Wasn’t counting on that,” he pointed to the phone. “Sure. What did you want to see me about, Sir?” Kate didn’t know what to expect, so she sat forward in the chair, her boots flat on the floor like a pair of tight bookends. “I’m hearing rumors of a personality conflict in your area. Anything you want to tell me about?” Sergeant Thompson leaned back in his chair, putting his hands behind his head. “Sir, I…” Kate faltered and looked at the ground. How was she supposed to phrase her answer? Kate studied her superior officer’s face a moment before speaking. She slumped against her chair. “Truthfully, sir, ever since John and I started dating and especially after I got my last stripe, Ruth has been awful. I try not to engage, but it’s getting bad enough everyone in the office is defending me or trying to deflect her from me. It’s embarrassing.” Finished, Kate looked out the window. Previously on Heir Force, Ruth Strikes. The next night Kate and John were eating dinner at Spencer’s place along with Andrew, an airman friend of Spencer’s. Kate didn’t really want to do the group thing with John leaving so soon, but they’d made these plans weeks ago around their various schedules. And her contribution to the meal- the most important part- happened to be dessert. Something chocolate and loaded with heavy calories had been requested. Spencer lived in a comfortable two-bedroom condo owned by a widow who lived next door. Martha and her husband bought both sides years ago, and rented out the other side to a military family or person for as long as they needed it. They never had any problems, according to what Spencer had told her and John once. Kate knew that since her husband died a year or so ago, that Spencer checked in on her and did small handyman projects for her. She always calls him her ‘nice young man’. Kate smiled thinking about it. She didn’t mind them getting together, but the timing wasn’t the best. She would prefer just her and John go out, which they will do in a day or two. They didn’t seem to have as much alone time anymore. Leaning back on the car seat, Kate watched a pair of sparrows sparring on the curb, while she considered exactly how she felt. If she were to name the feeling, it would be fear. The realization made her shudder. But why? Fear of what? That John would meet someone else? That he would get hurt? That they would grow apart? There was always a chance of danger, everyday in the life of an airman, whether in their field of Security Forces or not. You certainly can’t control the lunatics in the world that hate Americans and all they stand for. Kate met John and Spencer at Peterson AFB in Colorado a couple years ago where they were doing tactical training. Spencer and John had been friends for several years, stationed at two prior bases together, and with Kate, they made a trio. Kate had fallen for John, but liked Spencer too. 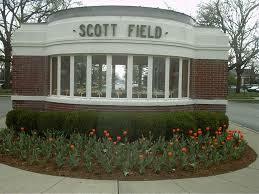 Then the three got split up, sent to three different bases, and now were all together again at Scott. Kate and John had stayed in touch with letters, emails and calls. Occasionally she had emailed Spencer, too. Then John and Kate both arrived at Scott within a month of each other and renewed their friendship, which over the last year had blossomed into some sort of love relationship, though John hadn’t actually used the ‘love’ word. Yet. Kate still held hope.